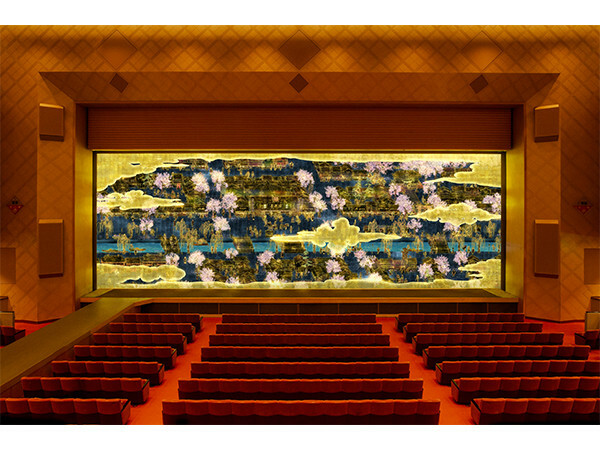 TeamLabo has created a drop curtain "Shikikishoza" to celebrate 145 years of anniversary to establish the theater "Meijiza" with the longest history in Tokyo. It will be displayed and opened to public from April 11. 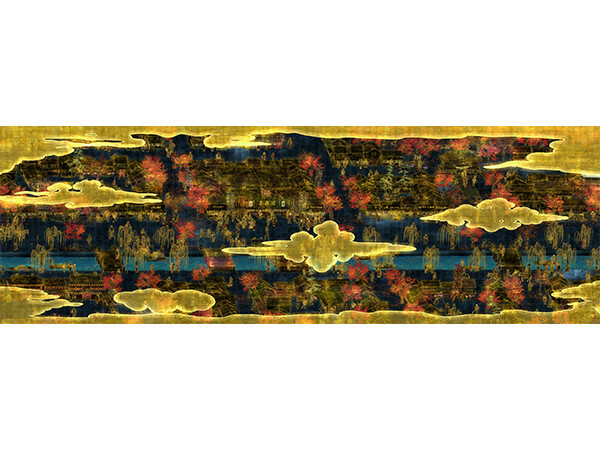 "Shiki Kishoza" is created high image quality equivalent to 4K resolution to reconstruct fine-grained decoration of a traditional lanyard with digital visual expression. 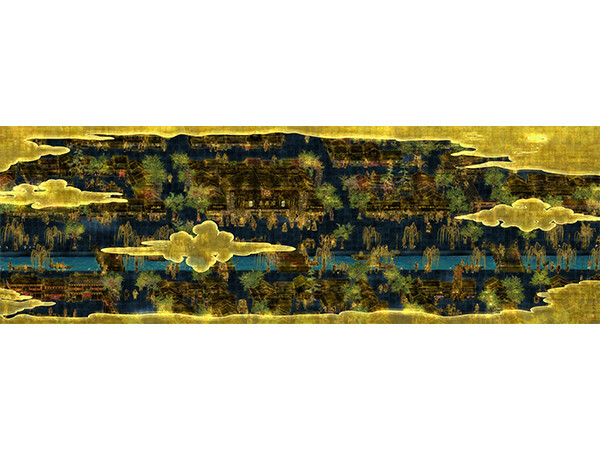 In the drop curtain with 7-by x 20-meter size, it is depicted the cityscape of Nihonbashi and people's activities around the beginning of civilization where Kisho, the previous name of "Meiji-za", and you can see various occupations and historical characters of that time. 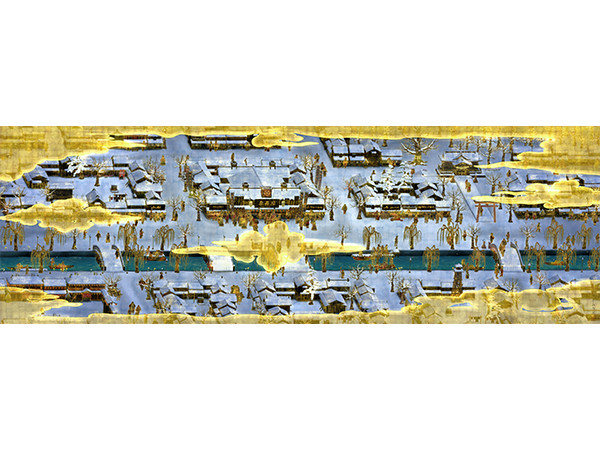 In addition, the scenery of curtain gradually changes in conjunction with the actual time, season, and weather of Nihonbashi, and people's activities also change accordingly. It gets brighter with the sunrise of Nihonbashi, it has sunset following the real sunset time, gets darker as the night gets deeper, and it rains if it is actually raining. In addition, you can see seasonal activities such as kite flying, cherry blossom viewing, festivals, and snow scene according to the season on the screen of the curtain. The curtain is appeared only before starting each theatre performance in Meijiza, so only for those who have the performance can see it. Let's enjoy watching a performance with the curtain together!